Blulift offers the most complete range of Spiderlifts and are available with tracked or wheeled chassis to suit the specific application. All of the Blulift models feature low ground bearing pressures, compact stowed dimensions, and working heights from 12 to 23m. 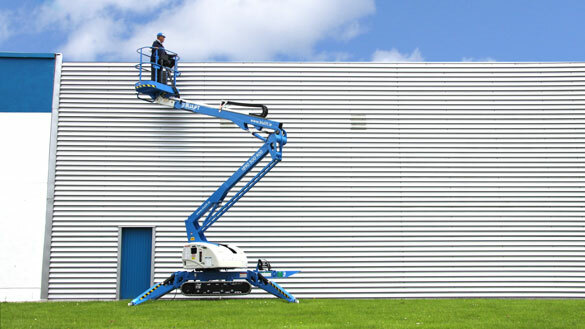 The versatility of the Spiderlift machines allows you to work in areas inaccessible to conventional access equipment. Popular applications include construction and facilities maintenance in shopping malls or office atrium or anywhere where low ground bearing loads and compact stowed dimensions are essential. In fact, many of the most famous buildings & grounds in Ireland have been built or are maintained with the aid of Blulift Spiderlifts.